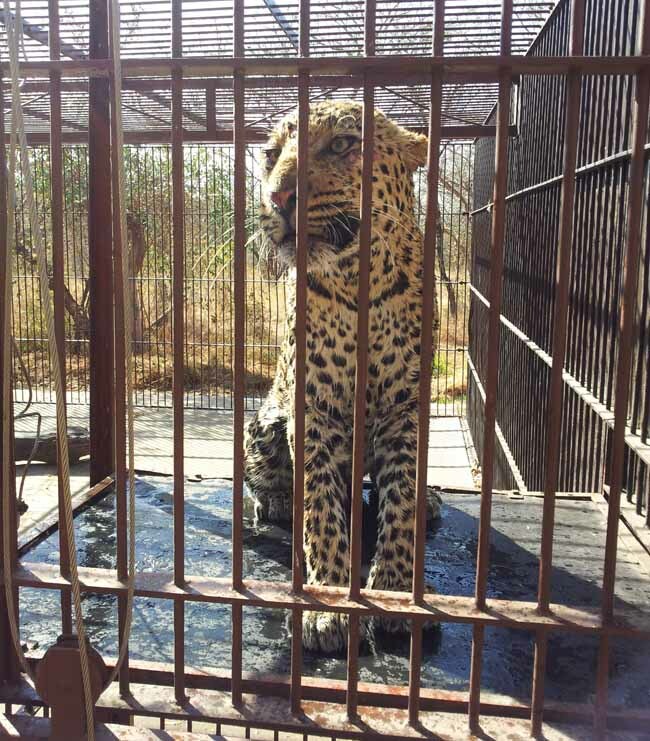 In our blog post Leopard Conservation, we shared how on the 17th July 2012, a leopard – that had been trapped by a farmer in the Elisras area for stealing his livestock – was brought to HESC for safekeeping. Over the past few months we’ve been taking care, and monitoring the wellbeing, of this animal. 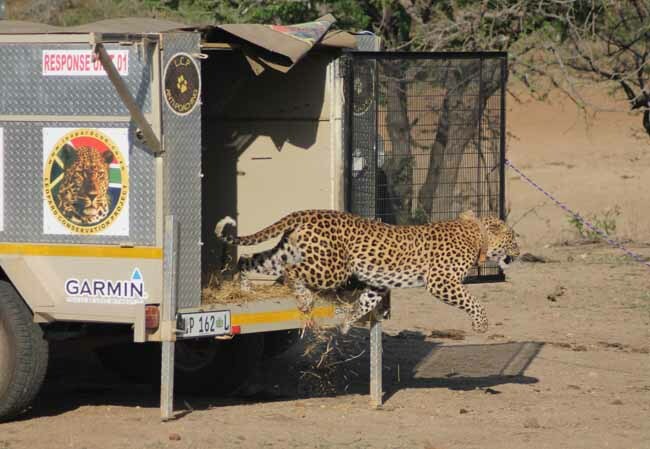 Early on Saturday, 29th September 2012, HESC and the Leopard Conservation Project (LCP) released the beautiful male leopard at Camp Jabulani. Sightings of leopards at Camp Jabulani are frequent, so we chose a spot where leopards have not been seen before, as they are territorial animals. To make his presence known and make him feel more comfortable in his new environment, we spread some of his droppings around the area prior to his release. Fred, from the LCP, assisted with the preparations. Prior to him regaining his freedom, the leopard was fitted with a collar, and his movements will be monitored and mapped via telemetry to determine his range and other important information. We are certain that the leopard will thrive in his new surroundings. Both Pick ‘n Pay – a great supporter of the Hoedspruit Endangered Species Centre – and the SABC were there to witness the leopard’s release back into the wild. Click here to watch video footage of the release.